When fashion goes beyond apparel, it can get better only with tasty yet elegant chocolates. 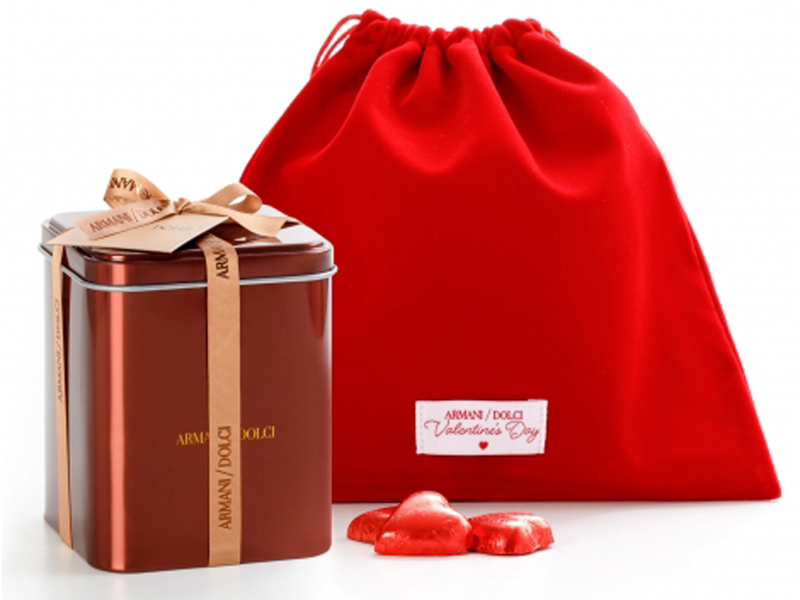 This year too, Armani Dolci, by Giorgio Armani, has rolled out special, limited edition chocolates for the upcoming Valentine’s Day. Since chocolates have become synonymous with Valentine’s Day, Armani urges lovers to celebrate love with a delicate dark chocolate heart with a luscious ginger cream filling. A tin box, featured above, contains 200g of the limited edition new pralines with a 75% extra dark chocolate shell holding ginger cream. This comes elegantly enclosed in a precious red velvet pouch with drawstring closure for about $29. 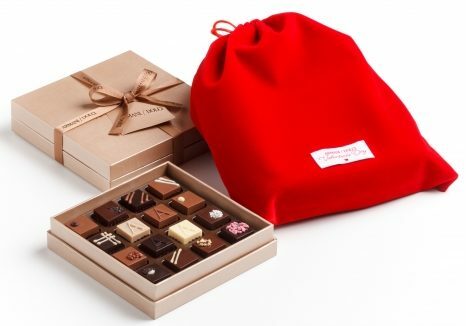 Just for about $20, you can also grab the exclusive small red tin box which opens like a book to reveal four heart-shaped chocolates. Expressing your love becomes easier with two square pralines featuring the ‘A’ logo, one white chocolate with salted almond filling, and the other 75% extra dark chocolate with extra cocoa cream. And to say ‘I LOVE YOU’ in the most luscious style, gift this traditional box with irresistible sixteen pralines and tin boxes with hearts and coated peels. Available for $35, this delightful case also comes enclosed in a precious red hot velvet pouch with drawstring closure. Amazon CEO Jeff Bezos Buys The Largest Home In Washington, D.C.